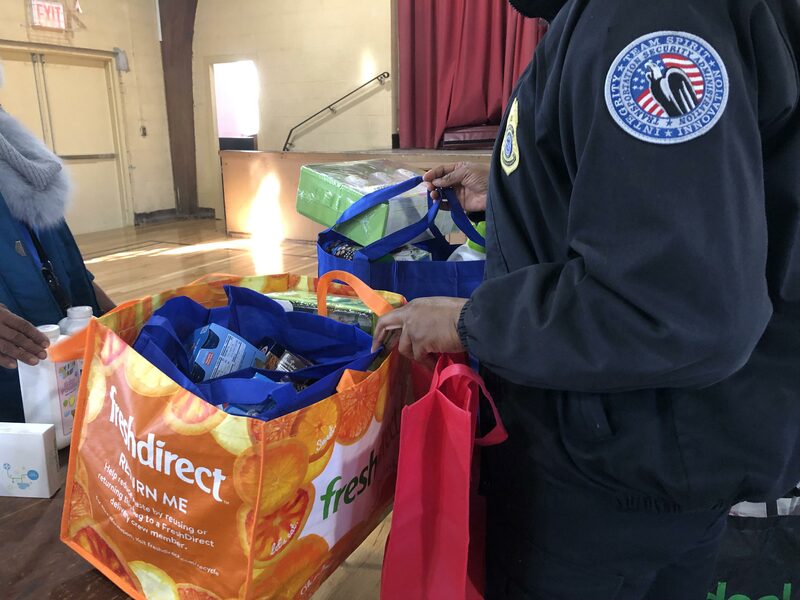 With the government shutdown more than a month old, volunteers unpacked thousands of dollars worth of food at St. Benedict the Moor Church in Jamaica, for a special effort organized by Catholic Charities Brooklyn and Queens. “This isn’t a group that we would normally see,” said Debbie Hampson who works for Catholic Charities Brooklyn and Queens. The campaign was held to help government employees affected by the shutdown. “Due to the furloughs and non-paychecks, it’s needed, it really is,” Hampson said. The special food pantry was welcomed by those who are without their paychecks. “Oh, it means a lot, it really does, it’s very touching, you know to have your back against the wall not knowing what opportunities are out there. And then they tell you,” said federal Transportation Security Administration (TSA) employee Veronica Jay. Donations ranged from fresh produce and non-perishable pantry staples to toiletries. Gas cards, food vouchers and Target gift cards also given away. Catholic Charities had some help from the nonprofit Rock-Can-Roll which donated goods, and PS 217, which provided volunteers. Hampson said that since the shutdown, they’ve seen more government employees reaching out for help. “We have 20 pantries through Catholic Charities in Brooklyn and Queens and we’re getting IRS workers, we are getting TSA workers, we are getting other furloughed government workers so there really is a need, and people for the first time have to ask for some help,” Hampson said. She said they did work alongside local TSA employees to spread the word for the event, but that it was for any furloughed employee as long as they had their federal work ID.